Is Rep. Devin Nunes at War With His Local Newspaper? The cover shows cartoon bees drunk on Kool-Aid aboard a ship that’s about to sink. 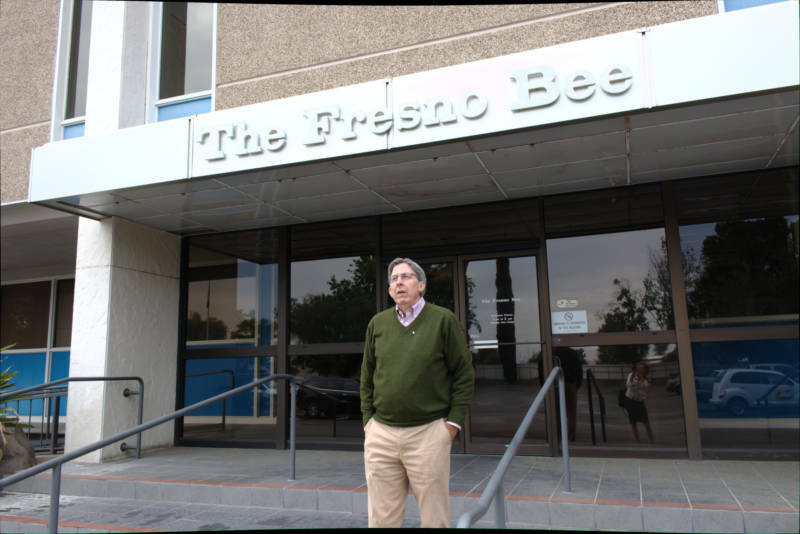 Inside, Fresno Bee reporters and their recently published stories about the congressman and his campaign for re-election are discredited as unethical and unprofessional. Local business owners, elected officials and other community members are quoted criticizing the paper and lauding Nunes, who is also chairman of the House Intelligence Committee. At least one reporter is pictured in the magazine. 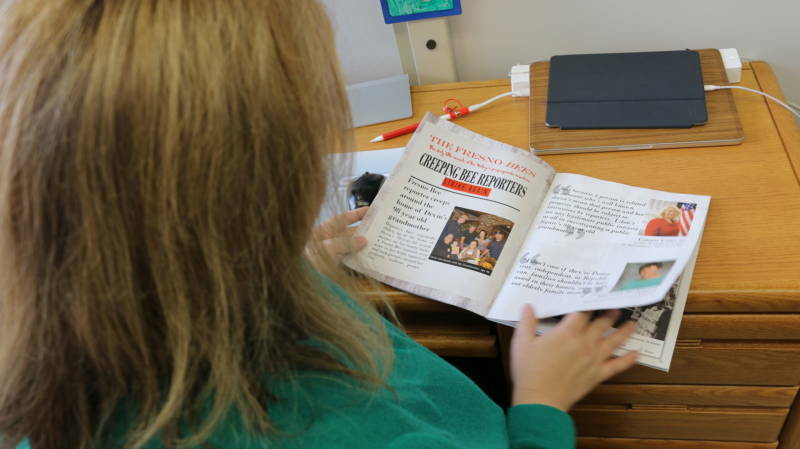 When Fresno resident Lisa Bryant received the magazine in her mail, she was surprised. As an assistant professor of political science at Fresno State University, her past research has involved studying campaign mailers from around the country. The magazine begins with a letter from Nunes campaign chairman Bob Smittcamp and finance director Tony Souza describing the Bee’s stories on Nunes as “derived from baseless insinuations from liberal groups,” in violation of “basic journalistic standards on ethics, objectivity and fact checking,” and equivalent to personal attacks on Smittcamp and Souza themselves. “That mailer was filled with a bunch of inaccurate statements about the work that we did. There was stuff that was out of context, there was stuff that was manipulated. It is just flat-out wrong, a lot of it,” Fresno Bee editor Joe Kieta said. This isn’t the first sign of tension between Nunes and the Fresno paper. Recent editorials have been critical of the congressman. In May, the Fresno Bee wrote about a lawsuit against a Napa winery that alleged the company had held a fundraiser in 2016 aboard a yacht involving illicit drugs and prostitution. Nunes was not present at the charity event, but is a partner in the company. “My name is not in there, but I know who they're talking about when they're talking about creeping correspondents. They're talking about me,” said Lewis Griswold, who has worked as a Fresno Bee reporter for over 20 years. Griswold said the mailer criticized reporters like him for doing standard, shoe-leather reporting. “The idea that I was creeping around the neighborhood, look — I was wearing my press ID, I was knocking on doors, I was identifying myself. There was no creeping around or misrepresentation,” Griswold said. "I think the general public doesn't understand just to what length we go to get it right. I don't know a journalist who doesn't wake up in the middle of the night worried that somehow the story that's gonna run the next day has a mischaracterization or an incorrect fact in it. You sweat it out, you really do." Bee editor Kieta said the paper is not at war with Nunes or his campaign, pointing out that the paper’s editorial board has endorsed the congressman every year since he was elected in 2002. “In this case I think what is unusual is you have a member of Congress here in Devin Nunes who is attacking the newspaper, in this case the Fresno Bee, the news media, instead of his opponent,” Kieta said. Bryant believes the goal of the mailer is to try to control the narrative of the campaign. 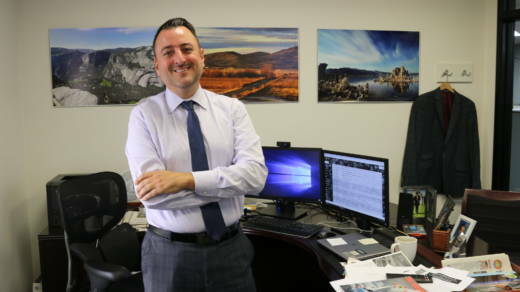 Local prosecutor Andrew Janz, who is running to unseat Nunes in November in the 22nd Congressional District, has raised more money than any previous Democratic challenger to the congressman. Janz is behind Nunes in the polls, but not by far. “If what you think is that people are supporting Janz because they believe those stories in the Bee, then what you can do is try and undermine the credibility of those stories and say, 'Don't believe the Bee, those stories aren't true,' " Bryant said.